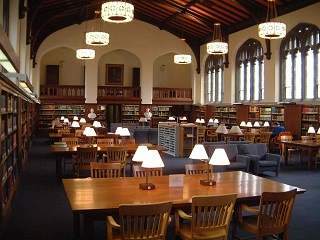 The Burke Library at Union Theological Seminary contains two downloadable bibliographies concerning Dietrich Bonhoeffer, addressing primary and secondary source material related to his life and activities. They are intended to be a near-exhaustive list of sources on Bonhoeffer, primarily in English. In addition to the bibliographies, two archival, non-circulating, collections of materials by or about Dietrich Bonhoeffer are available for consultation at The Burke Library. Bibliographies and listings of non-circulating materials are available in downloadable .pdf files.